Early this morning I got going with some coffee and spreadsheets summarizing U.S. startup funding so far this year. 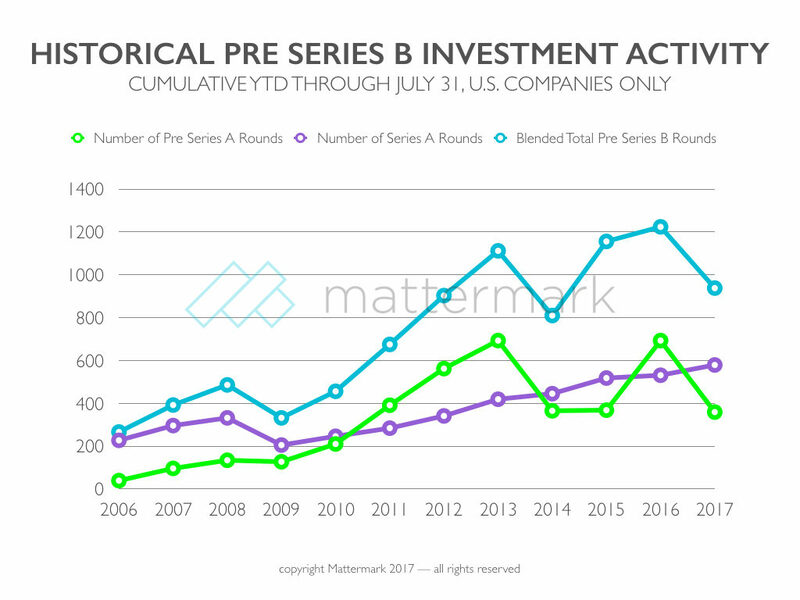 Digging around, I noticed a pretty big drop in YTD pre Series A stage funding announcements versus the same period last year, with seed+angel round volume and dollars down 48% and 47% respectively. Could it be that early stage investors are making a move back toward starting with Series A, or startups aren’t announcing their rounds, or something else? Check out the in-depth analysis over on the Mattermark blog or tweet to @Mattermark with your thoughts on what might be driving these trends. Flipkart (MM growth score: 696) raised $2.5 BILLION more from Softbank. Mobile analytics company Amplitude (MM growth score: 299) announced $30 million Series C funding from Benchmark, Battery Ventures, and IVP. New York based Brayola (MM growth score: 746) is making bra shopping easier, and today they announced $2.5 million more in funding, bringing their total backing to $11M. Investors include Shahar Waiser, Roi More, Ilan Shiloah, Haim Dabah, Jonathan Benartzi, The FirstTime Fund, and Nir Tralovsky. Grace Putnam at MarketMan reached out to let us know they’re hiring! What they do: collaboration platform between restaurants and their suppliers. In her words: We are a great place to work because we are small young team that is constantly evolving and changing. We have offices in both New York City and Israel, and have clients all over the world- everywhere from Aruba to South Africa to the UK and more! Want to put a job in this section of the Mattermark Daily? Send an email to editor@mattermark.com with a short clever blurb on why your company is a great place to work and links to your top 2 jobs. We’ll consider including it in a future issue!